The HD sport bed Xtender from AMP Research is perfect for anyone who is frequently running out of space when hauling cargo in their truck bed. This unique truck bed extender is extremely versatile and can instantly add up to 2 feet of added storage to your truck bed. The Amp bed extender easily mounts to the rear of your truck bed offering an enclosed area around your lowered tailgate. It's perfect for longer cargo such as dirt bikes and ATVs as well as your weekend camping supplies. The Bed X-Tender can also be flipped back into the truck bed for easy storage as well as offering a secure containment area. The AMP Research truck bed extender is constructed of lightweight aluminum material and glass filled nylon upright supports. It's extremely lightweight and easy to handle, yet sturdy enough to be used as a sitting bench at the campsite or race track. 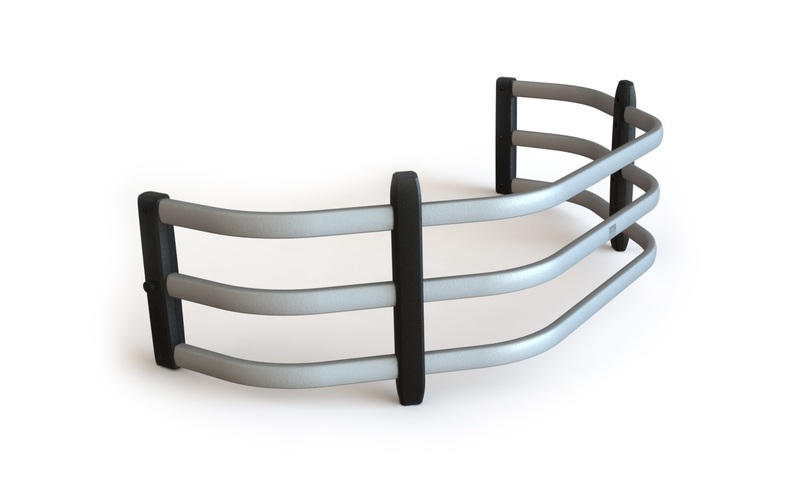 The AMP Bed Xtender is available in black or silver powder coat finishes and offers quick and easy installation. It's one of the only bed extenders to be manufactured right here in the USA and comes with a three year guarantee. Made by Amp Research. 2004-2018 Ford F-150 AMP Research BedXtender HD Sport Bed Extender, The AMP Research BedXtender HD Sport Bed Extender is designed specifically to fit your 2004-2018 Ford F-150 without any modification to your beloved Ford F-150. AMP Research BedXtender HD Sport Bed Extender will also fit 2006-2008 Lincoln Mark LT, 2007-2018 Toyota Tundra. If this AMP Research BedXtender HD Sport Bed Extender is not exactly what you are looking for to accessories your , please don't give up just yet. Our catalog has huge variety of parts and accessories for your .